Most people think that having a bad credit or having no collateral is a big “NO” of getting a business loan. But business owners actually do have many financing options in which they can qualify, even with severe credit challenges, or even if they don’t have collateral. Banks require good credit and collateral to get approved for business financing. But most people go to their banks when they need money, not because it is the only available option, but because it’s the only available option they know of. But the most common bank business loan the SBA loans, only account for 1.1% of all business loans. The reality is, banks are not the supplier of most business loans. Even though they require good credit and collateral many financing sources do not. The big banks are very conservative, as most know. Due to this they commonly won’t lend to businesses in which the business owner has challenged credit or businesses that don’t have collateral. But businesses can succeed even if the owner doesn’t have perfect credit or doesn’t have assets that can be pledged as collateral. And many business loans make really good sense and have risk low enough based on other factors, even if the owner doesn’t have good credit and lacks collateral. So what types of funding can and can’t you get with credit issues or if you lack collateral? Before finding out where to go for loans if you have credit problems, it would be wise to know where NOT to go first of all. Many sources might be appealing because of their offers and promotions, but they probably won’t lend you any money if you have credit problems or no collateral. Where not to get financing in this particular case? SBA and other conventional banks wouldn’t be a good option because their loans are quite hard to qualify for as the lender and SBA will evaluate all aspects of the business and the business owner before they approve the loan. To get approved all aspects of the business and the business owner’s personal finances must be near impeccable. One thing is definite: SBA loans are HARD to qualify for. According to the Small Business Lending Index, over 89% of business applications are denied by the big banks. A private investor is a big bank without the mark. “Unsecured” means no collateral is required for approval. No collateral GREATLY increases a lender’s risk. No collateral requirements usually means it’s the quality of credit that determines qualification. Any type of financing that has no collateral requirements AND no cash flow requirements, WILL require good credit to qualify. Revenue based financing, asset based financing, equity financing, crowdfunding, business credit, and unsecured financing using a credit partner/personal guarantor, are all great funding options for any entrepreneur with personal credit issues or those who lack collateral. The truth is, there is a LOT of capital out there that business owners can obtain, even with personal credit issues or no collateral. And most of it isn’t available through big banks. And the great news is that you can qualify for this massive amount of available financing based on your business strengths, as long as your business has even one strength. The big banks require your ENTIRE business and you to be near perfect to get money. But as you’re about to discover, there are a lot of other sources who will lend you money, even lots of money, based just on one strength. So as long as you have a strength to offset your weakness of having bad credit or lacking collateral, you can be approved. This is often called compensating factors. Many businesses have already proven “concept” and have consistently increasing sales. Their strength is that they have shown stability and that they can effectively run a growing business. The risk to the lender is less as they are established businesses that are growing. How are your sales? Sales are the difference between an untested concept or idea, and a real operating business. Will your idea be well received? Do YOU know how to operate a business? Sales answer these questions. If you have consistent sales, the next question is does the business have existing cash flow proven by bank statements? There are lending options available that only require a quick bank statement review for approval. They won’t even need to look at your tax returns, so even if your business shows a loss you’ll still be okay. The next question is does the business have over $60,000 annually received in credit card sales? Does the business have over $120,000 annually going through their bank account? If the answer is yes then revenue financing or merchant advances might be the perfect funding product. For this type of “cash flow” based financing you must be in business six months. No startup businesses can qualify. You should have at least 10 monthly deposits or more going through your bank account, not just a few larger deposits. Most advertising you see for “bad credit business financing” are these products. These are short term “advances” of 6-18 months. Mostly short term at first, such as 3-6 month terms. Then when half is paid down lender will lend more money at a longer term, such as 12-18 months. Loan amounts typically go up to $500,000. Your actual loan amount is based on your revenue, usually you can get lent 8-12% of annual revenue, based on your verifiable revenue per your bank statements. For example, a company that has $300,000 in sales might get a $30,000 advance initially. With revenue and merchant financing 500 credit scores accepted and are COMMON with this type of lending. Bad credit is okay as long as you aren’t actively in trouble such as in a bankruptcy or have serious recent and unresolved tax liens or judgments. For this type of cash flow based financing rates of 10-45% are common depending on risk. Risk factors include: Industry, Time in business, Bank statement details – number of deposits, average daily balance, NSF charges, amount of deposits monthly, and credit quality. Usually rates are higher on first advance until you “prove” yourself to the lender. No tax returns are required, no other income docs are required, and no collateral is required. And, you won’t need to pledge any collateral to get approved. Although you will typically be required to supply a personal guarantee, which is required for almost all business financing that isn’t accompanied by collateral. Asset based financing, also called collateral based lending, lends you money based on the strength of your collateral. Since your collateral offsets the lender’s risk, you can be approved with bad credit and still get REALLY good terms. Common BUSINESS collateral might include account receivables, inventory, and equipment. With account receivable financing you can secure up to 80% of receivables within 24 hours of approval. You must be in business for at least one year and receivables must be from another business. Rates are commonly 1.25-5%. You can also use your inventory as collateral for financing and secure inventory financing. The minimum inventory loan amount is $150,000 and the general loan to value (cost) is 50%; thus, inventory value would have to be $300,000 to qualify. Rates are normally 2% monthly on the outstanding loan balance. Example is a factory or retail store. With equipment financing lenders will undervalue equipment by possibly up to 50% and work with major equipment only. Lender won’t combine a bunch of small equipment, and first and last month’s payments are required to close. Loan amounts are available typically up to $2 million dollars. Common PERSONAL collateral that can qualify for collateral based lending might include a 401k and stocks. 401k or IRAs can be used to obtain up to 100% financing and rates are usually less than 3%. A retirement plan is created allowing for investment into the corporation. Funds are rolled over into the new plan. The new plan purchases stock in corporation and holds it. The corporation is debt free and cash rich. With securities based lines of credit you can obtain an advance for up to 70-90% of the value of your stocks and bonds. These work much the same as 401k financing with similar terms and qualifications. Go here for instant collateral-based funding for your business http://gtcredit.net. With equity financing you exchange a percentage of ownership in your business for financing, much like on the TV show Shark Tank. Personal credit is NOT an issue nor will you need to provide collateral, but equity investors are looking for a tested and proven concept and sales really help approval. You might find some investors to invest in a concept only, or invention. But most will want to see that you have an operating business that’s earning money and making profits. And expect that they’re going to want a large piece of the equity. For it to be worth their time to invest, they might want 10-60% ownership of your business. That means they’ll be taking a large part of your future earnings, something you want to consider before recruiting an investor. There are lots of websites in which you can obtain crowdfunding for your business. This type of funding gathers money from a “crowd”, or a lot of people instead of one big investor. If the crowd likes your idea, they may donate money to your project. Much of crowdfunding doesn’t need to be paid back and many investors are people you know. But if you really look into crowdfunding, you’ll find there are all types available. Some types of crowdfunding sources do want a certain percentage of return; some want a percent of equity ownership. And there are different sources and platforms for different needs, and even unique niches or industries. So make sure you find the right crowdfunding platform for you before you post a project. Check out this link for a detailed YouTube video with all you’ll want to know on Crowd Funding https://youtu.be/rhnjqFLaIuY. Business credit is a great way to get money as approvals are not based on personal credit and no collateral is required for approval. Business credit reports usually get started with a few vendor accounts who will initially offer credit. Initial accounts create tradelines and a credit profile and score are established. The company’s new profile and score are used to get credit. Newly obtained credit is based on the company’s credit per the EIN, not the owner’s credit based on the SSN. Personal credit doesn’t matter as the credit linked to the EIN is used for approval. When you use vendors to build your initial credit, you can then leave your SSN off of the application and can apply for business credit based solely on your EIN at most retail stores. Plus, you can get cash credit also, like high-limit cards with MasterCard and Visa. But building business credit all starts with vendor accounts. Without them, you won’t be able to start your credit profile initially, and that profile being established is the key to getting cash and store credit cards for your business. Once you find the vendors you want to apply for, apply, and use your credit, it takes about 1-3 months for those accounts to report to the business bureaus. Once those accounts are reported a business credit profile and score are then established, and that can be used for you to get store credit cards next. Once you have about 10 payment experiences reporting, you can then start to get cash credit like Visa and MasterCard accounts. A payment experience is the reporting of an account to one business bureau. So if an account reports to two bureaus, it would actually count as two payment experiences. You can get approved for vendor accounts right away that offer credit on Net 30 terms. Once you use those accounts they are reported, which takes about 30-90 days. At that point, in only 90 days or less, you can use your newly established credit to start to get high-limit store credit cards. Then in about 30-90 days longer you can be approved for $5,000-10,000 limit cash credit cards that you can use almost anywhere. Due to this fast building and approval time, business credit makes a lot of sense for credit challenged entrepreneurs. 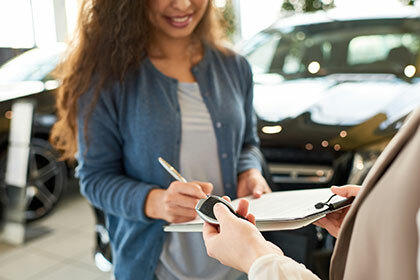 Unsecured credit requires no collateral, but it DOES require good credit. But if you have credit issues you can still get approved if you have a good credit partner, or someone who will sign as a guarantor who does have good credit. The guarantor is then liable for the business debt in case that account defaults. Approval amounts range from $10,000 to $150,000. Card limits are equal to what the signer has on their credit now. These accounts do report to the business bureaus in most cases, so they also help build your business credit and they are NOT reported on the guarantor’s personal credit report. Your guarantor will need excellent personal credit to qualify. Luckily for us entrepreneurs, there are actually A LOT of different viable financing options, even if you have challenged personal credit or lack collateral. The key is to know where NOT to look, and not waste your time… and to know where TO look, places that will approve you based on your strengths. If you do have personal or business collateral as we discussed, you might qualify for financing right now. If you have cash flow of more than $10,000 monthly, you might qualify for cash-flow based financing right now. If you have a partner, or other party who will sign as a guarantor, you have yet another good funding option available with unsecured financing. And even if you have no collateral, no cash flow, no guarantor, and bad credit… business credit is still an easy and fast way to get your hands on money.